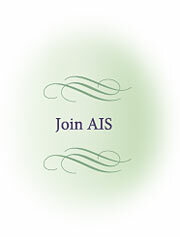 Overview: AIS is the official world registry of iris. Each iris variety is first "Registered" with the AIS and can then later be "Introduced". An iris is considered "Registered" when the application is accepted and approved by the AIS Registrar. Following this, when an iris is offered for sale to the general public and when proof of that is submitted to the AIS Registrar it would then be considered "Introduced". The date/year of Registration and Introduction are usually different. The procedures are outlined below. The registration year runs from December 1 through November 30 of the following calendar year. Iris registrations must be received by the AIS Registrar prior to November 1 of each registration year. Any registrations received after November 1 will be registered in the following registration year. All payments must be made by the end date of the respective period to qualify for the associated fee. PLEASE NOTE: The Registration form is a "Fillable PDF". It can be filled out using Adobe Reader, saved to your system and then emailed to the Registrar, or the form can be printed, filled out by hand and sent via conventional mail to the Registrar. Registrants are encouraged to review the AIS publications: 10 year Check Lists and annual Registrations and Introductions booklets for names prior to submitting an name for reservation or registration. Alternatively, you may subscribe to the online registrations database and search electronically for names. For more information go to the Check Lists page on this website. Reserving a name for an iris is easy. Select a name as you would if you were going to register an iris, send the name along with the eservation fee to the Registrar/Recorder(s). The fee for reserving a name is the same as, and also functions as, the registration fee. Once the reserve fee is paid, there is no further fee for registration for an iris with that name as long as the registration is made before the reserve expires.) The name reservation is valid for rest of the current registration year (to November 30) plus the next three years before it expires. Example: A reservation that is made on July 14, 2012 expires November 30, 2015. Once expired another fee must be paid to reserve the name or register an iris with that name. Once the name is approved the Registrar will send a "Reserved Name" form to you. The form looks just like the Registration form except the fee is lined out ans marked 'Paid" and the name and reservation/registration number filled in. It is advisible to submit alternative names with the application. The Registrar will communicate with you in the most epeditious manner to solve any problems with the names submitted. The Registrar will not "Pre-approve" names prior to receiving payment of the fee. 3. Select a name which has not previously been used and submit it for approval when requesting application. Refer to ten year Check Lists (1939, 1949, etc.) and annual registration supplements issued after the latest Check List. (Please also submit alternate names.) A name is not registered until the registration application has been filed and a certificate of registration returned to you. a) Names of living persons without their written consent, or names of recently deceased (within past ten years) persons without permission of next of kin or other authority. b) A person’s name including the following forms of address or equivalent in another language: Mr., Mrs., Miss, Ms.
c) Names including symbols, numerals, non-essential punctuation, or abbreviations. d) Names beginning with the articles “a” or “the” or their equivalent in other languages unless required by linguistic custom. e) Names in Latin or in latinized form. f) Slight variation of a previously registered name. g) Names in excess of four words, or thirty letters. h) Names containing the word “iris” or “flag” or the species name of any recognized species of Iris, or formed wholly by recombining parts of the parental species’ names. j) Names which exaggerate or may become inaccurate (e.g. Heaviest Lace, Tallest Black), or which are composed solely of adjectives which could be construed as a simple description of a non-registered iris (e.g. Late Pink, Pale Blue, Ruffled). 5. Previously registered names may be re-used if (a) the originally registered iris has not been introduced or distributed by name, (b) does not appear by name in parentage registrations, and (c) a release is obtained from the original registrant. 6. Names will not be released as obsolete unless no stock now exists and the iris was not listed as a parent in registrations. Introduction is the offering for sale to the public. 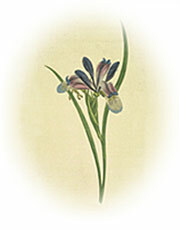 Catalogs, printed lists, and advertisements in the American Iris Society Bulletin are acceptable means of introduction. Irises must be recorded as introduced before they become eligible for awards of the Society higher than High Commendation. It is the responsibility of the hybridizer to send by first-class mail to the Registrar-Recorder a copy of the catalog, list, advertisement or printed copy of website (and URL) showing introduction. In 2017 the AIS Board of Directors voted to require that images be included with the submission of new registrations..
AIS Image Coordinator: (June 2017) AIS has appointed Neil Houghton as the AIS Image Coordinator. The Image Coordinator has the responsibility of creating a reference library of images of registered irises. Registrants are requested (but not required) to submit images after a registration has been completed and they have received notification from the AIS Registrar/Recorder that the name of the iris cultivar has been approved. The AIS requires a picture of the iris bloom and encourages additional pictures of other views such as stalks, clumps, foliage, and close-ups of any distinguishing feature, e.g., flounce or spoon. A picture size of 1 MB is the minimum but larger is better. This is to ensure that if your image is published the print quality will be acceptable. A file size of 3-4 MB is preferable. Almost any file type is acceptable. The most common is JPG or JPEG. Other types are PNG, TIFF and RAW. If you are having difficulty with submitting a particular file type please contact the image coordinator at images@irises.org. Wiki/Encylopedia: Submission of photos grants AIS permission to use as outlined in the Copyright Disclaimer below. You may email your images to images@irises.com. However, many email programs and servers reduce the size of an emailed image using a compression technology. This compression reduced the image quality. Some emails are blocked because of size limitations! To use this process you will need a Google account. If you do not have one, when you try to open the folder link sent to you, Google will prompt you to create an account. It is very easy. Click on this link to open YOUR folder. Wait until the file(s) has uploaded before shutting down your computer, meanwhile you can work on other tasks while the upload process will continue in the background. Access to the file to which you upload your images is limited to the registrar (John Jones), the image coordinator (me) and you. If you choose to share your link with someone who works with your images that is fine. Other registrants will not have access to your files and you will not be able to access their folders either. In other words, you are in control. Unfortunately, no-one can guarantee absolute security as we have seen, but this is a very secure system with Google. It also seems an unlikely target for intrusion. The registrant hereby acknowledges that by submitting a photograph of an iris cultivar registered with the Registrar-Recorder of the American Iris Society the registrant hereby grants the AIS and its agencies (Affiliates, Regions, Sections) the right to reprint or republish such photograph in the Iris Encyclopedia maintained by the AIS; in any of the newsletters or journals published by the AIS or its agencies; to publish such photograph on any website maintained by or on behalf of the AIS or any of its agencies; and to publish such photograph in any other publication published by the AIS or its agencies in the ordinary course of its educational and scientific activities.